We have listened to your feedback and added a new feature! 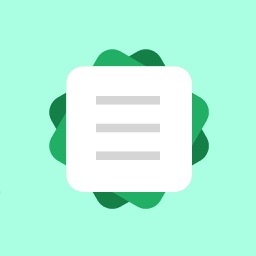 Now you can record your own words and add them instantly to your app. You also have the option to sending us the recording to be included into the next update for all users! With SayMedicine, there is NO subscription fee. You simply make a one time purchase and receive free updates for life! We are working hard to bring you regular updates. 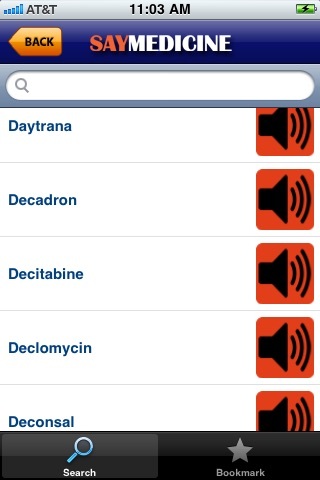 Version 2.0 includes many of the words our users requested. 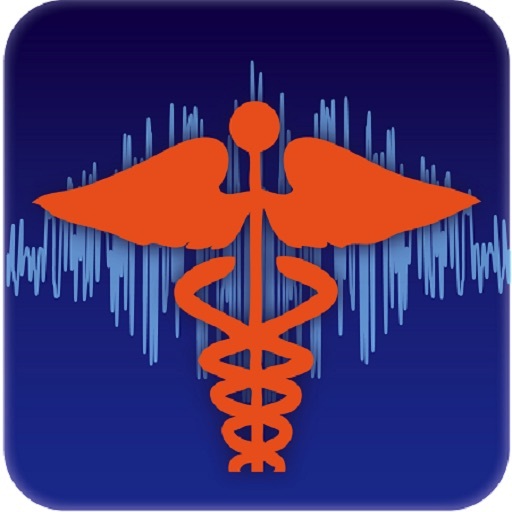 SayMedicine Medical Pronunciations was designed to provide health care students, professionals, other individuals interested in learning to speak the language of medicine. 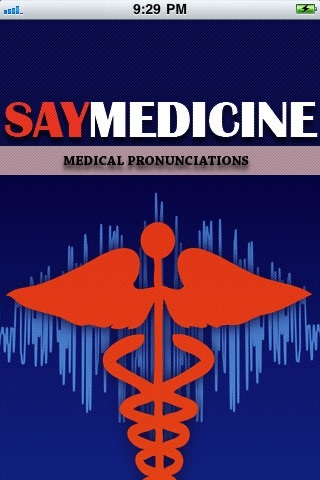 Many of the words used in medicine are complex and are often mispronounced. 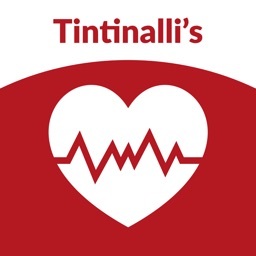 Our goal in creating this app is to provide you with a powerful reference tool that you can carry with you anywhere you go. - New Feature: Record and add your own words! 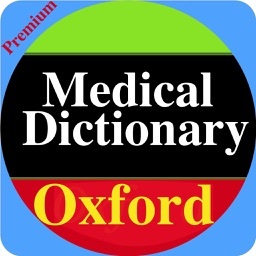 - Over 8000 commonly used medical terms! 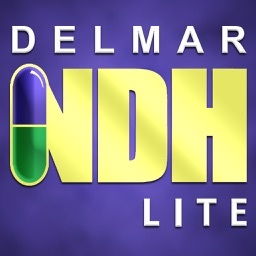 Mastering difficult drug names will increase your confidence when communicating with patients and colleagues. 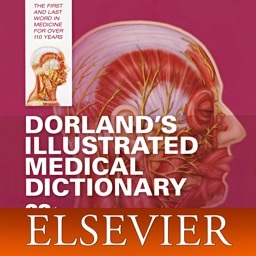 We have included many commonly used terms in Pathology, Anatomy, and Diagnostics. More words added regularly! 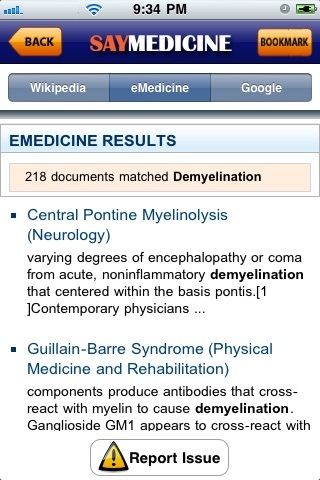 We have built in the ability to easily research the medical term on WikiPedia, eMedicine, and Google. Simply clicking on the word will allow you browse for more information. We have added a new feature that allows you to record your own words! These words can be easily accessed by clicking the "My Words" button on the bottom! 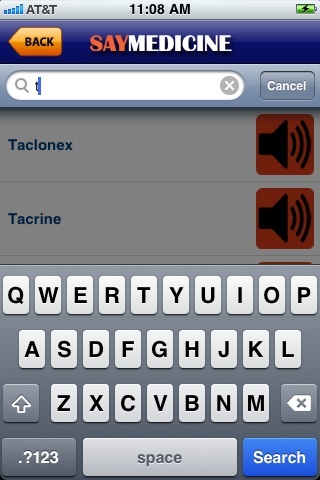 You have the option to bookmark anyword for quick reference. Once you have simply mastered the word, simply use the swipe gesture to delete it from bookmarks. We are constantly working to provide you with new recordings! Your one time purchase provides you access to all future updates! Please feel free to contact us via email at anytime!